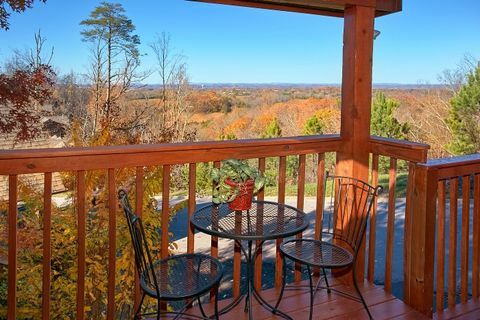 Looking to escape to Pigeon Forge for your honeymoon? 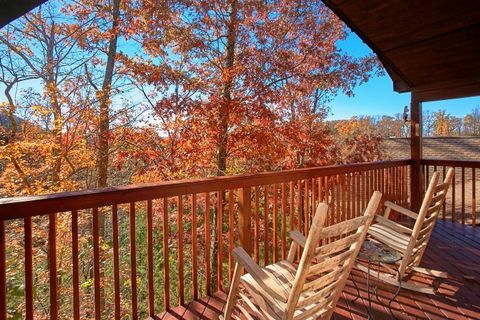 Since your life together is "A New Beginning" for the two of you, why not start in this delightful Dollywood cabin near Pigeon Forge in a convenient location, indoor pool, and picturesque views? 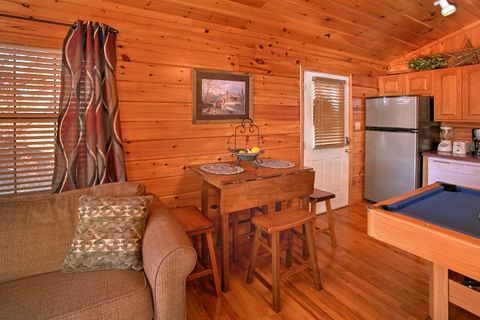 From indoor swimming pool access to sleeping space for 4 guests, this 1 bedroom Pigeon Forge cabin offers a welcoming interior that's perfect for couples looking to escape to the mountains! 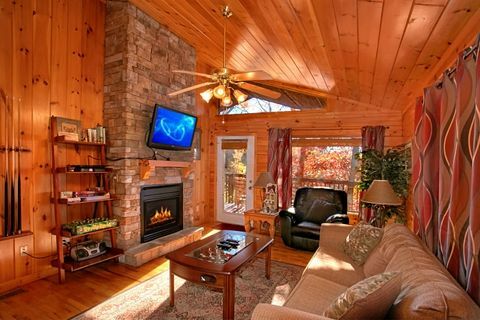 The interior of this cabin in Hidden Springs Pigeon Forge allows you to enjoy all the perks of a cabin stay. 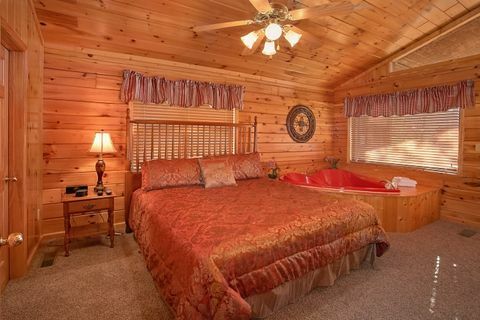 Unwind in the master bedroom's heart-shaped jacuzzi for two and let your cares float away. 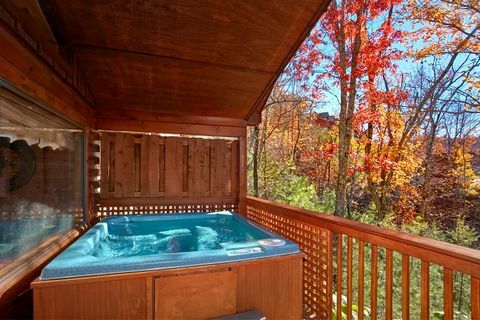 Soak in your hot tub's warm waters while taking in the scenery. Cuddle in front of one of your cabins 2 inviting fireplaces during the winter. Share photos and stories with friends back home with free WiFi Internet. 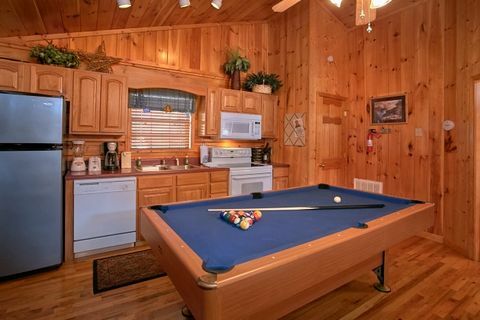 Play a fun game of billiards on your cabin's pool table. 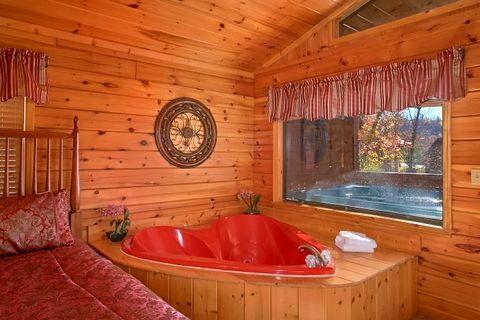 There’s plenty of amenities at your cabin to help you relax and have fun at your cabin. 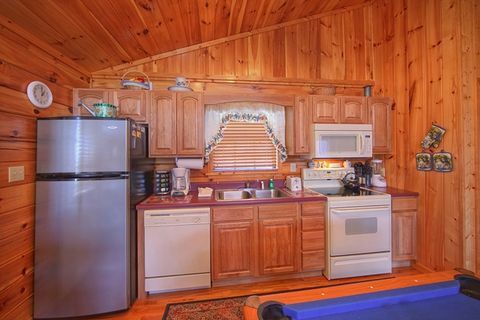 Your cabin also gives guests plenty of useful practical features that will help you save your vacation dollars including a spacious kitchen, outdoor charcoal grill, dining area, and washer and dryer. 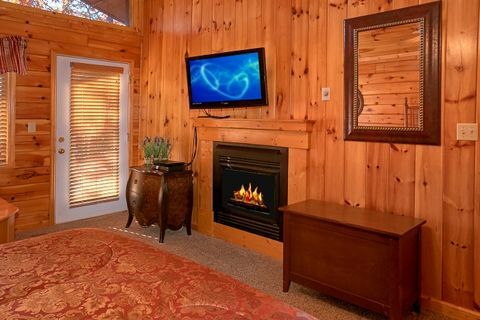 Your location Hidden Springs Pigeon Forge provides you with resort amenities and a convenient location, making your cabin vacation even more luxurious. 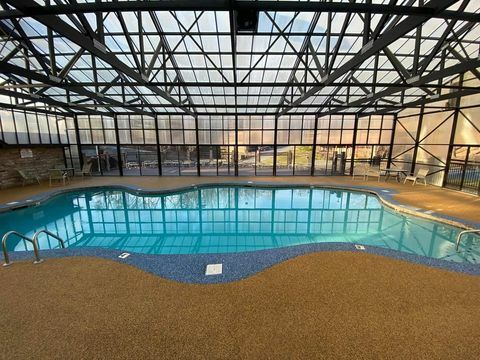 This resort's location rests near the area's top restaurants, shopping, attractions and more! There's much to love back at your resort as well. The indoor swimming pool stays open all year and allows you to gaze up at the sky while you swim underneath a glass dome. In the summer, you can have even more fun at the outdoor pool where you can soak up the sun. 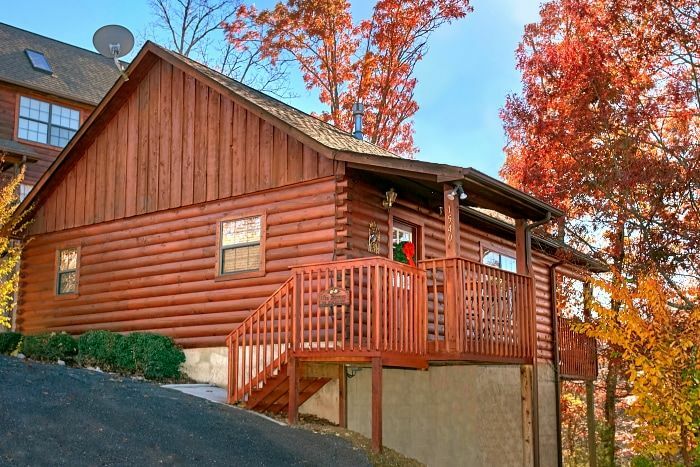 Start enjoying vacation savings with an Online Booking Discount when you reserve this Dollywood cabin in Pigeon Forge online with Cabins USA!